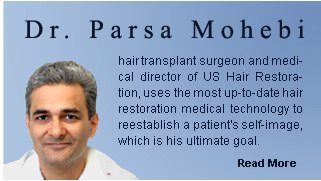 Los Angeles Hair transplant surgeons are renowned for their service in hair restoration. Los Angeles is the Mecca of Hair Restoration and offer a variety of hair transplant surgeons along with other branches of cosmetic surgeries. Within the last two decades, hair transplant surgery has evolved tremendously but not every surgeon has been following up on the most recent methods in the industry. The best recommendation in choosing your surgeon is by making sure that he or she is familiar with all methods of hair transplant surgery. Surgeons with insufficient training on newer methods like Follicular Unit Transplant (FUT) or Follicular Unit Extraction (FUE) or applications of Mega Session transplant surgery may not be able to offer all available options to their patients. Choosing a hair transplant surgeon should not be dependent on where their hair transplant clinic is located whether it is a Beverly Hills or Newport Beach hair transplant surgeon. Always educate yourself in the advances of hair restoration surgery and hair transplant so you are more prepared to ask questions and understand the answers given to you. If you know what you should be looking for in a hair transplant surgeon, you will find the right surgeon.